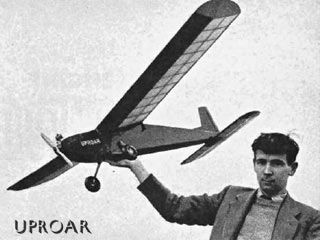 Parts Set for the classic Uproar by CH Olsen and published in Aeromodeller October 1958. 72in span for 40-60 size engines. 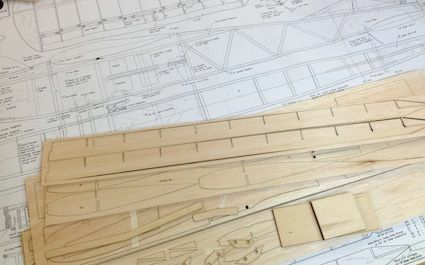 Belair parts set includes fuselage sides, bulkhead, formers, wing ribs, tip shapes, tail mount, fin and rudder parts, tailplane ribs, dihedral braces plus smaller items. 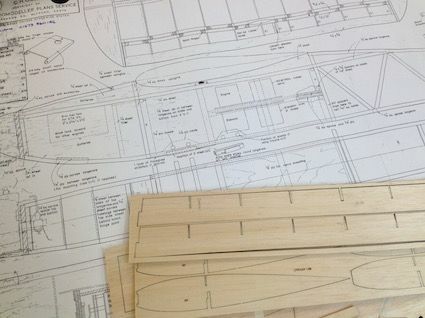 Just add the original plan and stripwood to complete the basic airframe and save hours of tedious cutting. Plan is still available from myhobbystore.co.uk - http://www.myhobbystore.co.uk/product/20515/rc710-uproar. Please use original plan as some modern plans do exist. Plan shown is for reference only and is not included.